Weekend Historical Happenings: 9/1/12 - 9/2/12 ~ The History Girl! Howell Living History Farm will hold its 29th Annual Plowing Match on Saturday from 9:30 am until 4:00 pm. The public is invited to watch and participate in the event, which features old-fashioned plowing and log pulling competitions, crafts and pony rides for children, and lots of food, music and old fashioned fun. 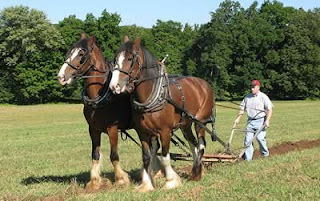 A dozen teams of draft animals from New Jersey, Pennsylvania, and New York are entered in the match, which tests the performance of farmers, their horses and oxen, and their plows as they turn furrows. Judging will take place from 10:00 am until 12:00 noon. Children's activities will be offered from 11:00am-3:00pm, including pony rides and a craft program, "Fly Swatter": cost $3. Beginning at noon, hungry plowers and visitors can lunch on roast pork sandwiches, a chicken BBQ, Kosher franks and Howell Farm potatoes and sweet corn. Noontime festivities will include music by the Jugtown Mountain String Band, door prizes, and plowing award presentations. This Saturday, browse hundreds of items at the Olde Time Antiques & Collectibles Faire, held from 9:00 am - 4:00 pm. The Faire will be held at the Ocean County Parking Garage, Hadley and Madison Avenues, Toms River. 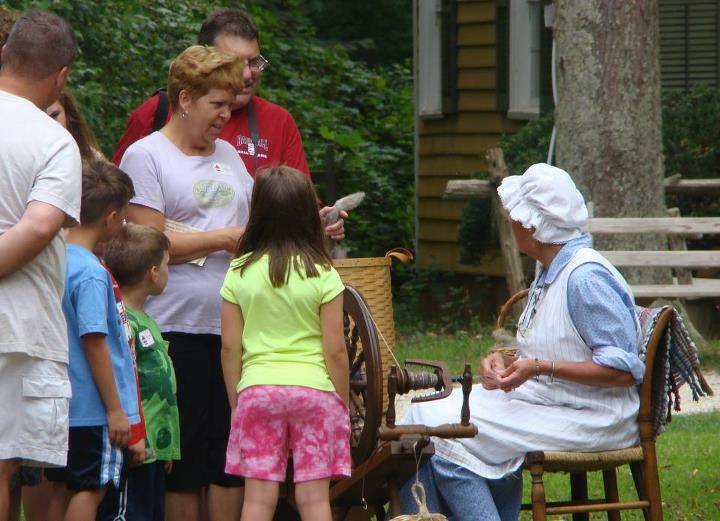 This Saturday at Fosterfield's Living Historical Farm, you can enjoy the "Explore the Farm Wagon Ride!" The ride will take place between 10:15 am and 12:00 noon. Call 973-326-7645 to register. The Whitesbog Preservation Trust (WPT) will host a moonlight walk at Historic Whitesbog on Saturday at 7 PM. By the soft glow of moonlight, walk through the dark, mysterious pines, along white sugar sand roads, to the shimmering cranberry bogs. Whipoorwills may offer their melodic calls. The leader will offer stories of the people who built Whitesbog, the local "Piney" folk, and the more recent American immigrants, all of whom worked here to make it one of the most successful agricultural enterprises in New Jersey. Meet at the General Store at 7 PM. Guests should be prepared for a relatively vigorous walk, are encouraged to dress for the weather and bring anything that may be needed for your comfort (ie: sturdy shoes, bug spray, and a flashlight). Light refreshments will be served after the walk. Inclement weather cancels. Fee is $5 per person. Reservations by Friday, August 31 are required: leave name, telephone number and number of people attending on main voicemail, (609) 893-4646, or email to WhitesbogPreservationTrust@comcast.net. All proceeds benefit the Whitesbog Preservation Trust in its tireless efforts to restore and protect Historic Whitesbog Village and its surrounding lands. Whitesbog Village is located at mile marker 13 on County Route 530 in Browns Mills (Pemberton Township), NJ. To find out information and directions: telephone (609) 893-4646, email WhitesbogPreservationTrust@comcast.net or visit www.whitesbog.org. This labor day weekend, come join us at the Great Falls for music, art, food, and great times! Bands will be performing outside at the Dolphin Mills, and, inside, art will be shown and sold by your favorite local artists! This is an ALL AGES event, so bring everyone you know! Tickets are a $12 donation at the door, or $10 in advanced. Children are FREE. Proceeds go to benefiting the art programs at the Ivanhoe. 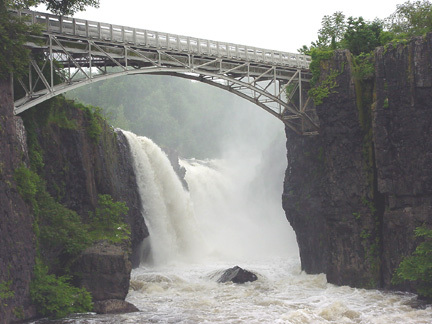 The Great Falls Arts Festival is held from, from 12:00 noon to 11:00 pm on Saturday and Sunday. The festival will be held at the Dolphin Mill, 70 Spruce Street, Paterson. Sponsored by the Paterson Municipal Utilities Authority (MUA). As part of the festival, there will be three nights of music at Overlook Park on Saturday, Sunday and Monday from 5:00 pm - 11:00 pm, along with vendors and fireworks. Celebrate Family FunFest and the history of the Jersey Cape at Historic Cold Spring Village, Saturday and Sunday, from 10:00 am - 4:30 pm. Bring the kids for some hands-on fun - they can churn butter, write with quill pens, help the potter, woodsmith, and bookbinder too! There will be a face painter, toy train rides around the Village, and fun tunes from Jim the Banjo Man! The parade is co-sponsored by the American Labor Museum/Botto House National Landmark and the Borough of Haledon, and is scheduled for Sunday. Step-off will take place at 1:30 pm at the Botto House in Haledon. The parade will finish at the Great Falls Historic District in the City of Paterson. This year's Labor Day Parade will be lead by Grand Marshal Larry Hamm, Chair of the People's Organization for Progress (POP), an independent, grass roots, political organization that is active in Newark and Northern New Jersey area. All community organizations, unions, businesses, cultural groups, and individuals interested in joining this historic march can contact the museum at 973-595-7953 or by e-mail at labormuseum@aol.com. The Botto House National Landmark, home of the American Labor Museum, is located at 83 Norwood Street in Haledon, NJ. It was the meeting place for over 20,000 silk mill workers during the 1913 Paterson Silk Strike. The museum offers a free lending library, restored period rooms, changing exhibits, museum store, Old World Gardens, educational programs, and special events. The museum's hours of operation are Monday through Friday, 9:00 am - 5:00 pm. Tours are offered Wednesday through Saturday from 1:00 - 4:00 pm or by appointment. "The Shirts Off Our Backs: Union T-shirt Quilts" exhibit will be on display at the museum through December 31st, 2012. The museum store will also be open to the public before the parade.